As the peace process over the Nagorno-Karabakh (Artsakh) conflict has quickly accelerated in recent months, there has been a natural focus on the competition of diplomatic strategy between Armenia and Azerbaijan, and on the move by Armenia to reinstate Karabakh as a full party to the talks and no longer a sidelined full party to the conflict, according to Richard Giragosian, the director of the Regional Studies Center (RSC). He made the statement in an interview with Tert.am, commenting upon the recent developments in the conflict settlement process, particularly the official summit held between Prime Minister Nikol Pashinyan and Azerbaijani President Ilham Aliyev. “At the same time, negotiations, or at least summitry has resumed, against the backdrop of the April 2016 Azerbaijani offensive, which stands out as the most serious round of fighting since the installation of a rare self-enforced ceasefire in 1994, the looming risk of renewed hostilities and even the danger of a 'war by accident,' based on tactical miscalculation and strategic misperception,” he noted. Giragosian said he also believes that military security is a “lingering and looming concern” in the light of the significant casualties of the April 2016 fighting that put an end to deterrence and the death of Armenia’s “myth of military invincibility”. “Yet there is one essential aspect of the peace process that remains dangerously ignored. 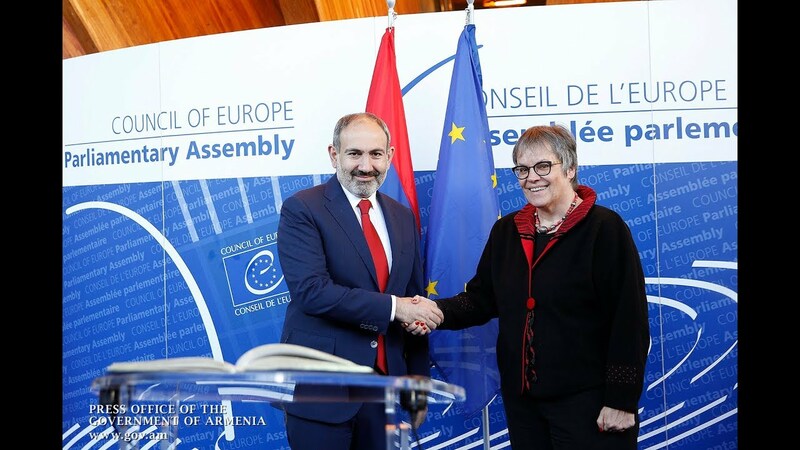 More specifically, this critical element is the now obvious divergence between the negotiators, as a more democratic Armenian government is now engaged in the peace talks,” he added. The expert further highlighted a “profound disparity and difference” between the two sides, citing the “increasingly corrupt nature” of the Azerbaijani regime, “whose lack of legitimacy is only offset by the corruption of an incumbent elite led by a family dynasty”. “Moreover, the political partners in Baku are part of a flawed system that is personified by ‘politics based on genetics’ and whose inherited power reveals one serious concern: that no matter what concessions or compromise are discussed, Armenia has no ‘partner for peace’ as long as Azerbaijan remains under the sway of the Aliyev dynasty,” he added.